Looking to move your business to the cloud? Wondering what "the cloud" means, and how it can help your company move into the future? Compumatik help. Office 365 is Microsoft's subscription suite of cloud tools. Let us help you explore whether there's an Office 365 solution that meets your needs: Reducing costs, improving efficiency, and doing business better. Install Office on your PC or Mac, on tablets and smartphones for when you're on the go, and on the web with Office Online for everywhere in between. The tools are the familiar tools you use every day—Word, Excel, PowerPoint, and OneNote—with new features that make them even more powerful. Office 365 also has an intuitive admin console, so it's simple to control and manage. Create polished documents with the full Office applications you know and trust, save them to the cloud, and then edit and collaborate with your team in real time using Office Online. Just sign in to Office, and documents, preferences, and other settings follow you across your PC, tablet, phone, or the web, so you can always pick up where you left off. Office 365 is a service, so you get great business value for your investment. Low upfront costs, lower IT costs to keep everything running, the flexibility to add users, and additional services on tap when you need them—all these add up to the ROI your business requires to succeed. SharePoint is the new way to work together. Share your work, collaborate in real time, organize projects and teams, and discover people and information. With OneDrive, SharePoint, and Office, you can keep all your files synchronized and accessible wherever you are. Publish content to SharePoint from any Office application. Share with people inside and outside your organization in a few simple clicks. Set up new team sites in minutes, track meeting notes, and create projects. Bring together your team's email, documents, calendars and tasks, all in one place. Organize all your projects and tasks to get visibility into upcoming deliverables across SharePoint, Outlook, and Microsoft Project. Keep track of what your colleagues are working on with new social features. Spend more time delivering innovation and less time managing infrastructure. How well do your current tools support today’s more mobile and flexible work style? 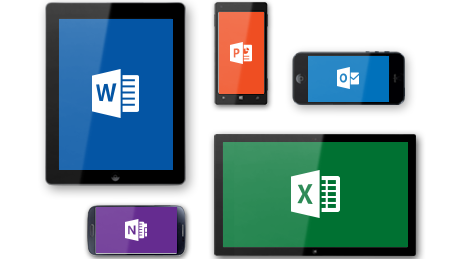 Microsoft Office 365 is a cloud-based productivity service hosted by Microsoft. It provides anywhere access to your familiar Office applications, business-class email, calendar, video conferencing, and shared documents across your devices, including laptops, tablets, and smartphones. Office 365 includes spam and malware protection, continuous data backup, geo-redundant data centers, and a 99.9% uptime guarantee. Office 365 simplifies deployment with click-to-run technology that installs Office quickly and runs side by side with older version of Office. Office 365 gives you enterprise-class productivity services at an affordable price to help you modernize your infrastructure with the control you need. As a Microsoft Office 365 partner and reseller, Compumatik can help you implement, deploy, transition to, and manage Microsoft Office 365 and SharePoint (what is SharePoint?). Whether you're just getting started and considering how best to do it, or you're already set up and want someone to take over management, we can help. To make the most of Office 365, you need a partner who knows its ins & outs and how to make it work for your needs. To learn more about Office 365, keep reading. To learn more about how we can help, contact us today.